Although reducing calories is essential for fat loss, it can also increase ghrelin, a hormone that boosts hunger and appetite. This might lead to food binges that impede your fat loss efforts. Research indicates that certain supplements suppress the appetite, which helps decrease calorie intake and enhances fat loss. In research reported in the April 2006 issue of the “Journal of Clinical Endocrinology and Metabolism,” scientists from the Commonwealth Scientific and Industrial Research Organization investigated the effects of protein and carbohydrates on appetite. They discovered that overweight subjects consuming whey and casein proteins in liquid form experienced increases in cholecystokinin, a gut hormone that decreases appetite, compared to those consuming lactose and glucose in liquid form. 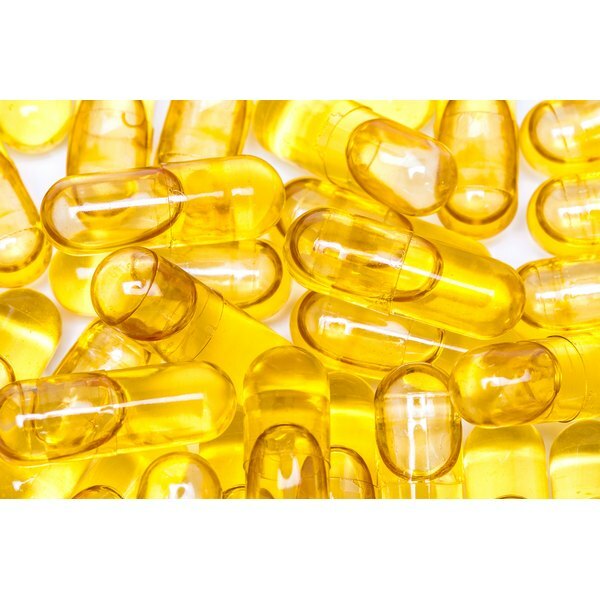 Fish oil contains the omega-3 fatty acids docosahexaenoic acid, or DHA, and eicosapentaenoic acid, or EPA, which might reduce appetite in overweight and obese subjects, according to a study conducted by researchers from the University of Navarra in Spain. Participants followed a balanced diet with low or high doses of omega-3 fatty acids for eight weeks. After the eight weeks, subjects consumed a test meal. In the report, published in the November 2008 issue of the journal “Appetite,” scientists found that the high omega-3 group experienced less hunger and more fullness after the test meal compared to the low dose omega-3 group. Scientists from Saint Joan University Hospital in Spain examined the effects of soluble fiber supplements on overweight and obese adults. Subjects received 3 g of Plantago ovate husk, also known as psyllium husk, and 1 g of glucomannan or a placebo twice daily for 16 weeks. At the end of the study, published in the April 2008 issue of the “British Journal of Nutrition,” researchers found that the soluble fiber supplement group lost more body fat than the placebo group. Soluble fiber supplements increased satiety that enhanced fat loss. In research published in the October 1998 issue of the “International Journal of Obesity,” researchers from the University of Rome La Sapienza in Italy investigated the impact of 5-hydroxy-tryptophan, or 5-HTP, on energy intake in Type 2 diabetics. They found that participants consuming 750 mg of 5-HTP per day for two weeks significantly decreased calorie intake compared to those receiving a placebo.